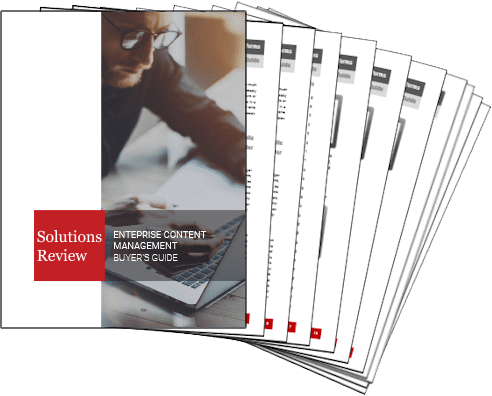 Solutions Review is proud to release an all-new resource for comparing enterprise content management solutions, the Content Management Buyer’s Guide. 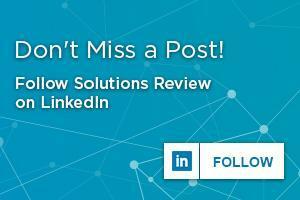 Solutions Review has developed this buyer’s guide to assist consumers looking for the best possible tool to fit the needs of their organization. This guide features 10 important questions to ask throughout the buying process, as well as full, one-page vendor profiles which provide a solution overview, three key features, contact information, and our own ‘Bottom Line’ analysis. Top providers highlighted include Alfresco, Ascend Software, DocStar, DocuWare, Everteam, Hyland, IBM, Konica Minolta, Laserfiche, M-Files, Micro Focus, Microsoft, Naviant, Newgen Software, Nuxeo, OpenText, Oracle, Systemware, and Xerox. Content management solutions are available to create, store, distribute, and manage unstructured content to analyze and deliver it to users whenever and wherever necessary. On the other hand, a content services platform can be delivered as an integrated product suite or as separate applications that have similar APIs and repositories. Choosing the content management vendor that fits your needs best can be an overwhelming task, as there is a wide of tools that make up the broader marketplace, and they depend on your specific use cases and environment. Content services solutions also enable a range of functions, including the capture and ingestion of content in digitized file formats, business processing of digital content, management and retention of digitized content files and associated metadata, user productivity working with digital content, platform services for digital content, and the administration of digital content platforms. These tools are recommended to organizations with use cases and activities such as document management, records management, team-based productivity, and business application enablement. Download the Content Management Buyer’s guide here. Next Next post: What’s the Difference Between DMS and CMS?